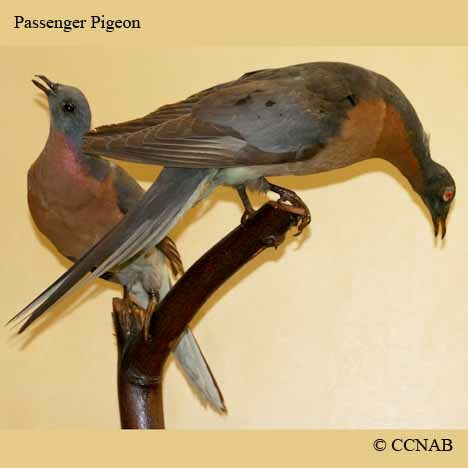 Images of the extinct Passenger Pigeon are courtesy of North Museum of Nature and Science in Lancaster & the Carnegie Museum of Natural History in Pittsburgh, Pennsylvania, USA and the Ontario Provincial Park visitor's centre at Point Pelee, Leamington, Ontario, Canada. 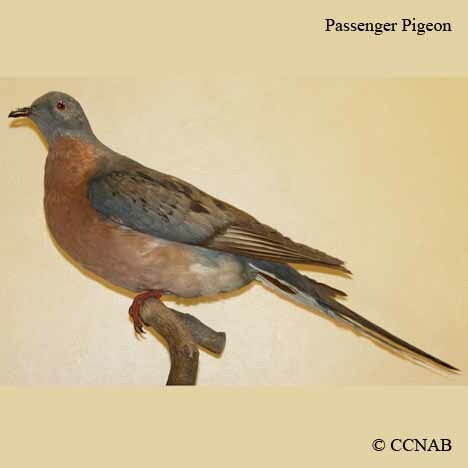 The Passenger Pigeon was once seen by the billions, some say the population was between 3 and 5 billion birds. 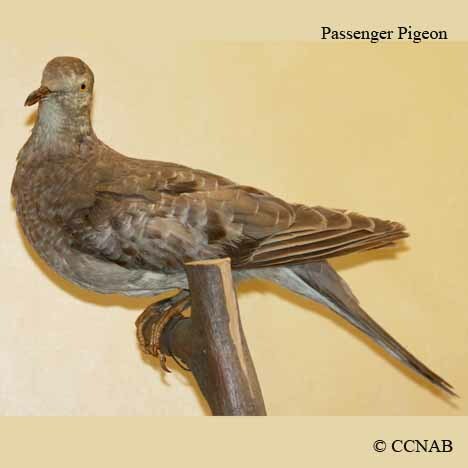 They were the most common bird seen in North America. 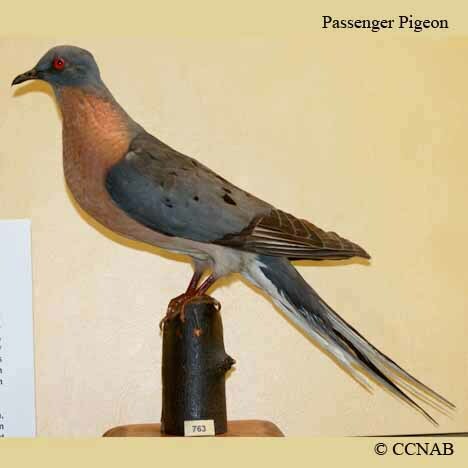 This pigeon became extinct at the start of the 20th century, dued to relentless killing of them. 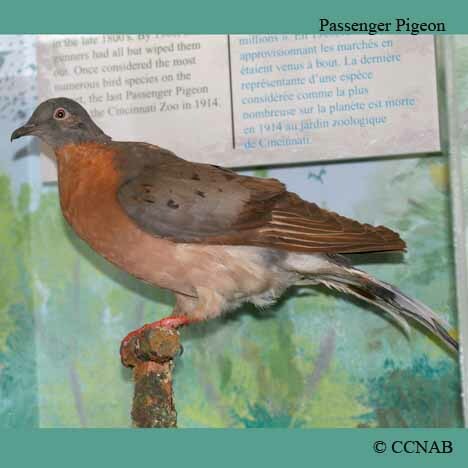 Today, the only reminders we have left of them are the mounted specimens that are on display in museums.